Overview: You heard it here first: Keawakapu Beach is hand down the best beach in Kihei. Everyone has their favorites of course, but I personally that Keawakapu is simply better than the rest. There's fantastic snorkeling, plenty of parking, and you can go for a walk to the south end of the beach and continue on to Wailea. 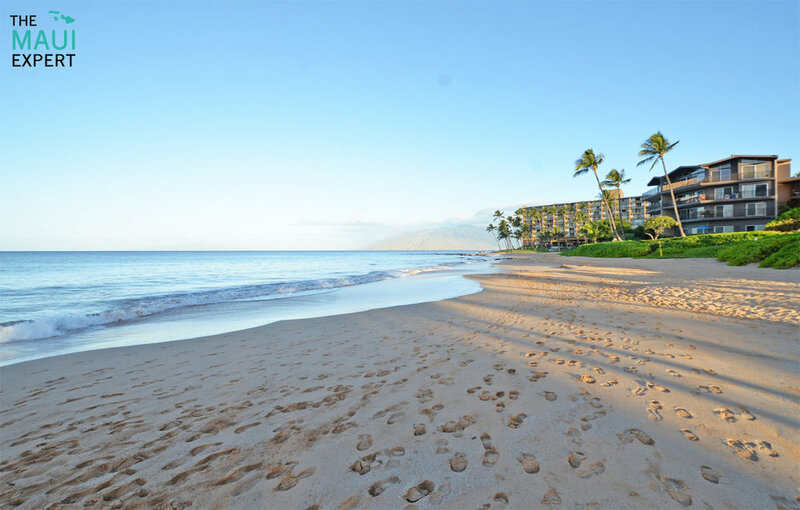 In fact, some would argue that Keawakapu Beach is actually part of Wailea, but it's safe to say that the northern stretch is Kihei's southernmost beach. Good For: Swimming, snorkeling, paddleboarding, boogie boarding, surfing, sunsets—pretty much everything! Not So Good For: Can get pretty crowded—especially on the north end by the snorkeling and activity area. Maui Expert Tip For Keawakapu Beach: Since the northern section of beach can get crowded, base yourself in the middle of the beach and just walk down to the northern end whenever you plan to go snorkeling. 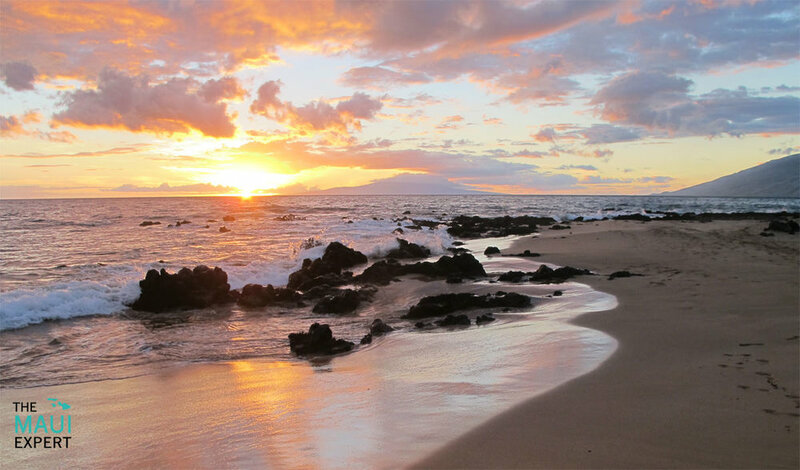 For one of Maui's best morning beach runs, start at the north end of Keawakapu Beach and continue south past Mokapu Beach, Ulua, Wailea, and Polo. The total distance, roundtrip, is right around five miles. Directions and Parking Situation: There are three different parking areas for Keawakapu Beach—and they're all pretty spread out. The biggest is one is a large dirt lot on the northern end of the beach. Just look for the Days Inn and park in the neighboring lot. The "middle" lot is where South Kihei Road meets with Kilohana Drive, but the parking lot is actually located on the mauka (mountain side) of the road. There's also a small lot at the southern end with a port a potty and shower. Facilities: There are showers and restrooms at the northern and southern end, and a rental stand for watersports equipment at the northern end of the beach. There's also a deli and a couple of restaurants at the northen end of the beach.